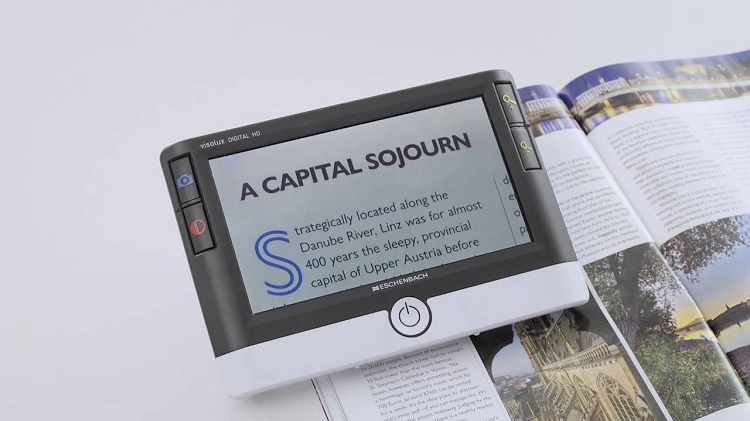 The Visolux Magnifier is seen resting on a magazine page, which is shown magnified on its screen. 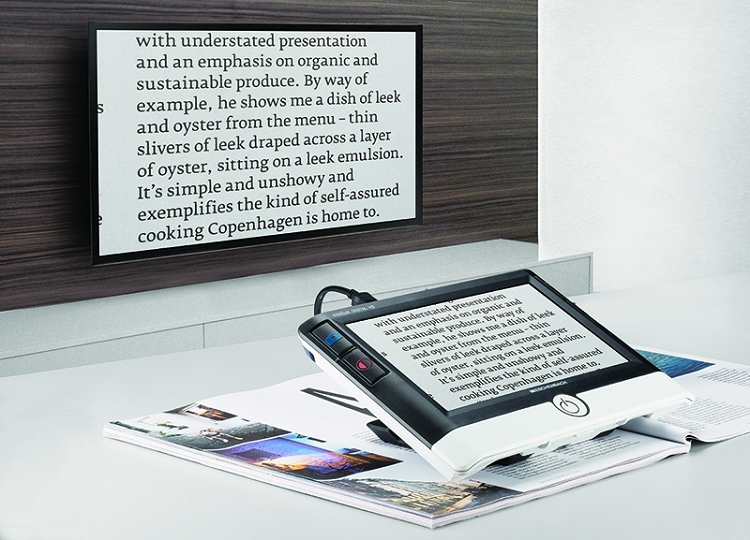 The Visolux Digital HD’s built-in HDMI and USB ports allow the user the option to transmit images directly to their computer and live stream to a television screen. Its unmatched connectivity options and superior image quality make this the ultimate low vision device!